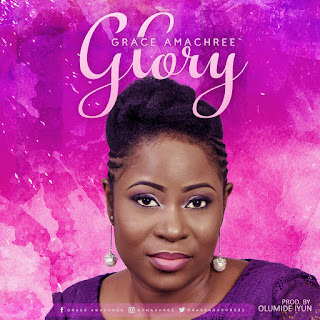 Nigerian born Gospel music minstrel, singer-writer and worship extraordinaire, Grace Amachree makes her debut appearance with a soul inspiring worship piece titled - 'Glory'. The Bayelsa state born and multi-talented vocalist was privileged to begin her music ministry from an early age. Fast forward few years later, still driven by her passion to lead, bless and see lives transformed through her unique music ministry, Grace Amachree releases a powerful worship single titled - 'Glory' - a soulful musical offering to the King of Kings and Master of the universe in adoration and recognition of His infinite glory and sovereignty. Grace Amachree through her years of musical experience and service has been privileged to lead and usher thousands of souls into God's presence through worship. She currently serves as a music minister at This Present House, Lekki, Nigeria. Grace Amachree is a proud wife, intentional woman, super business woman and mother to two adorable lovelies. Her debut single - 'Glory' was produced by Olumide Iyun.